Welcome back to the Lehigh Valley! Today we're going back to Allentown, the largest city in the Lehigh Valley. We've seen a few stores here before, but due to the closure of my Flickr account, I'm wrapping up a few stores I photographed a while ago but never actually wrote up for the blog. Ahart's is part of Great Valu, a small cooperative with stores mainly in the PA area. They use the Supervalu storebrands. I complained plenty about Phillipsburg, but I have to say, this location looked pretty good. The decor is the same, obviously, but this location didn't look quite as dirty or beat-up as Phillipsburg. Produce is in the front left corner, with meat along the left side wall. Dairy lines the back of the store and frozen foods are in the last aisle. I'm drawing a blank on whether there's a service deli, but if there is, it's at the back of aisle 1. Because the produce department doesn't line a wall like it does in Phillipsburg, we just get "Produce," not "Garden Fresh Produce." Produce is in the corner to the left in the above picture. Ahart's appears to have supplemented the original decor with some promotional signage from Great Valu. Otherwise, the decor would be pretty sparse; it doesn't have quite as many frills as we saw in Phillipsburg. A look down aisle 2 with the "Bake Shop" in the back. There's no bakery here, so that could be packaged baked goods or just the bread section. 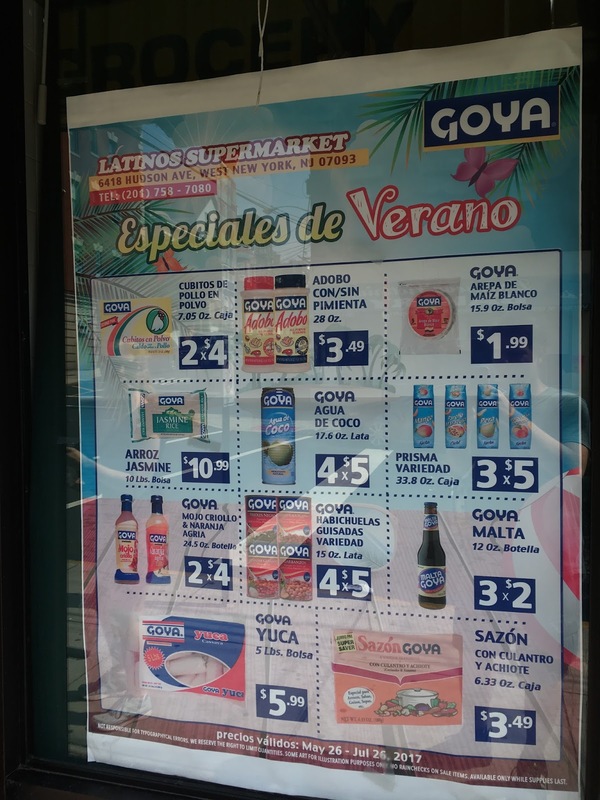 Unlike other Ahart's stores, Allentown seemed to have a fairly decent international selection here, with a special promotional ad from Goya just like Latinos Supermarket's. This probably had to do with the fact that Supremo had recently opened just under a mile east on Allen Street. 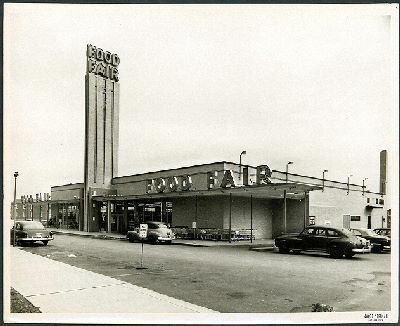 This is Food Lane decor, which has been somewhat awkwardly redone for Ahart's. We can see a similar sign in the Easton Food Market, also a former Food Lane. Somewhat cluttered front-end, but still not too bad. Allentown is definitely the best of the Ahart's I've visited!